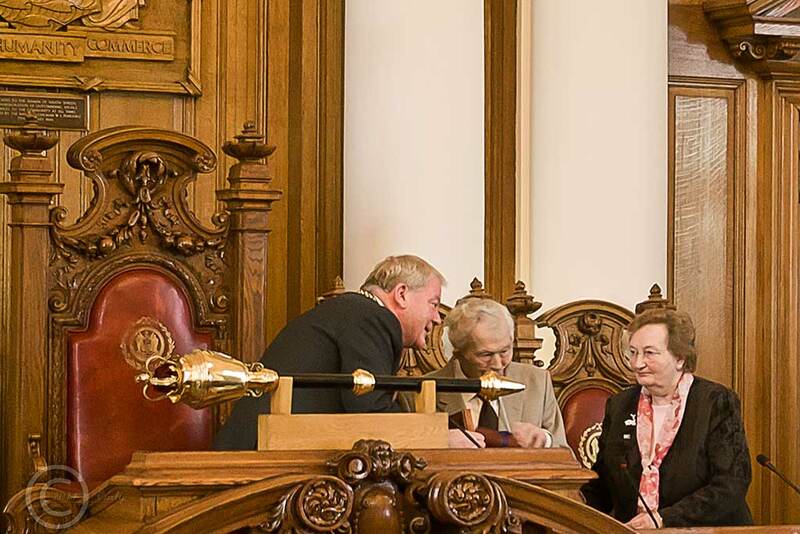 Capstick, Freedom of the Borough – picture special | Curly's Corner Shop, the blog! 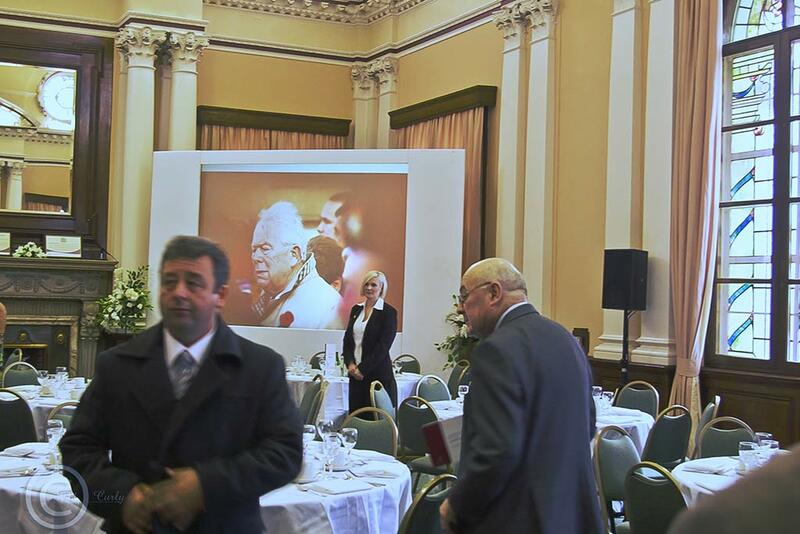 Yesterday in South Shields Town Hall Cllr. 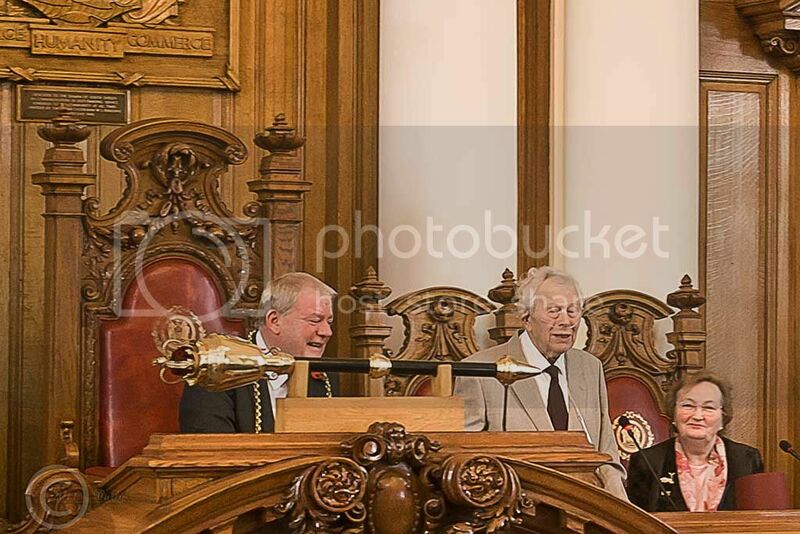 Jimmy Capstick accepted the honour of being installed as a Freeman of the Borough of South Tyneside in a ceremony attended by hundreds of friends, family, ex-councillors and well wishers. 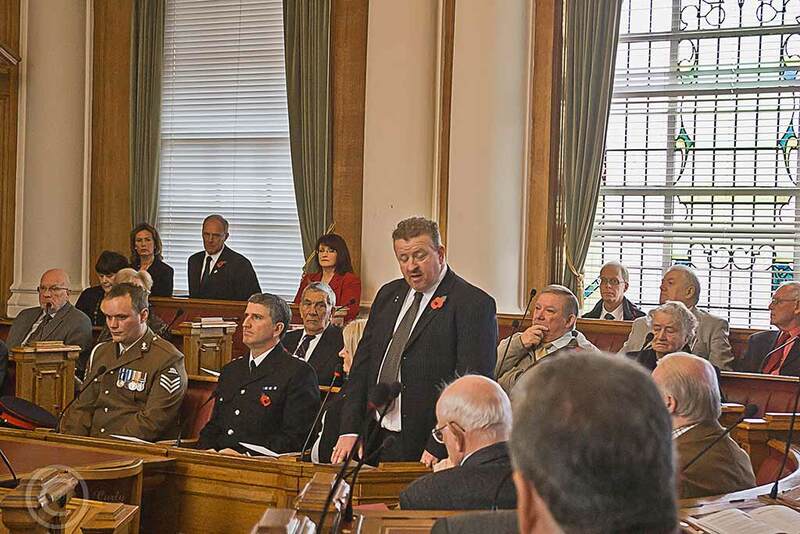 It was a very special day for Jimmy, the longest serving councillor in South Tyneside, and one which will have filled him with happiness and pride, however as everyone was assembled in the council chamber it fell to Chief Executive Martin Swales to announce that Jimmy was not there! He’d been rushed into hospital earlier in the day but had bravely discharged himself and was making his way to South Shields by taxi in order to attend, once again displaying his great sense of duty and commitment in the most selfless manner, he was determined not to spoil the day for everyone else! Sadly it meant that Jimmy missed the chance to fully participate in the lunch and civic reception afterwards as he quickly returned home, possibly on doctors’ orders. It was great to see and meet up with former friends and colleagues as well as unexpectedly bumping into one of Mrs. Curly’s relatives, and I’m also very grateful to Mayor Cllr. Jim Sewell for giving me special dispensation to record some of the moments of the ceremony and reception to bring to you today. Rather than writing a long post on the event here are just some bullet points that help to inform you about the pictures and some of the other moments of memory. Great to see George Wilkinson, Stan Smith, Steve Mannion, and Ken Hickman – familiar faces in familiar seats, Stan looks as though he is back to good health. Wonderful to converse with Jean Alderson, widow of the former high ranking council officer Reevel Alderson. Good to see so many people from St. Peter’s church in Harton. Cllr. George Elsom is now sporting a healthy growth of hair on his upper lip to help raise awareness and money for a prostate cancer charity – big ups George! Happy to photograph members of Jimmy Capstick’s family and record their pride and joy. George Wilkinson has unearthed a little gem in his family photos, I hope to bring it to you shortly. Cllr. Capstick, despite his failing health, got through his acceptance speech with grace, humility, and lots of his familiar humour. Cllr. Enid Hetherington spoke on behalf of the Progressive Association. Cllr. Steve Harrison spoke on behalf of the official opposition. Big respect to Cllr. 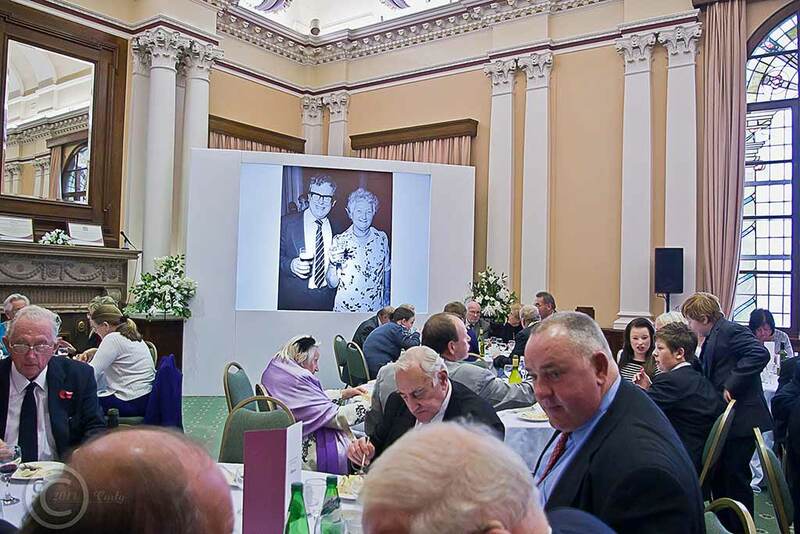 Iain Malcolm Labour’s leader in South Tyneside for being a “big politician” and honouring his opponent in such a public and memorable manner. 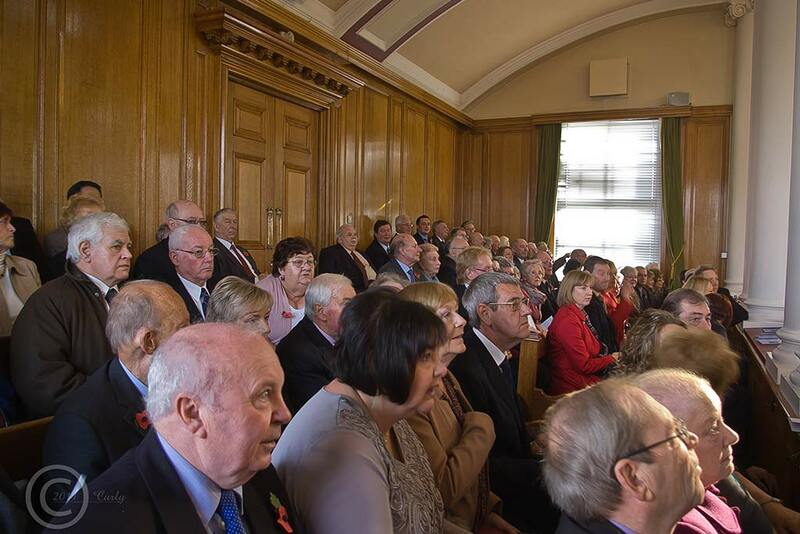 Disappointment at the absence of quite a few of our councillors (perhaps they had work or other commitments). The meal was simple chicken, potatoes, and vegetables, nobody could accuse the council of lavish spending in tough times. People of all political persuasions were genuinely happy and pleased to be with Cllr. 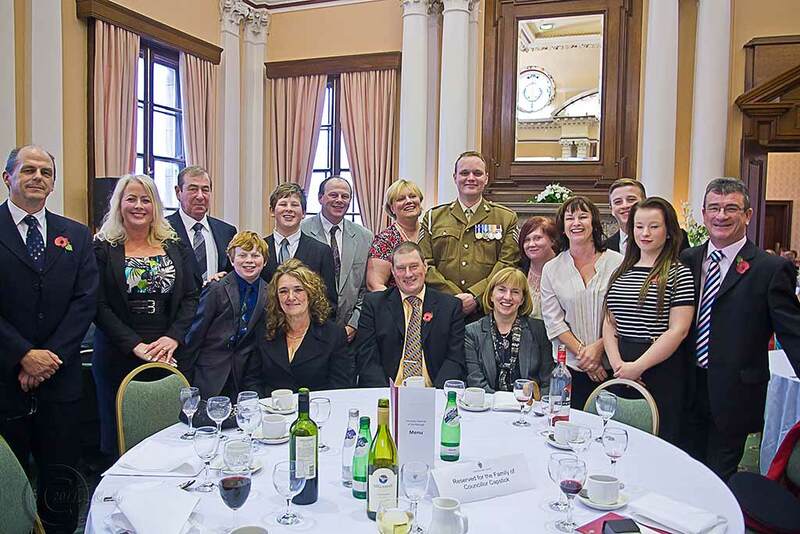 Capstick and his family, 45 years service as a councillor deserves some respect and recognition. Bit of a pity that I couldn’t spend a few moments with Jimmy but it was understandable given the circumstances. Good to see former Labour councillor Tom Bamford enjoying his retirement and in excellent spirits. The giant screen in the main reception room looked like “This is your Life” – nice touch. 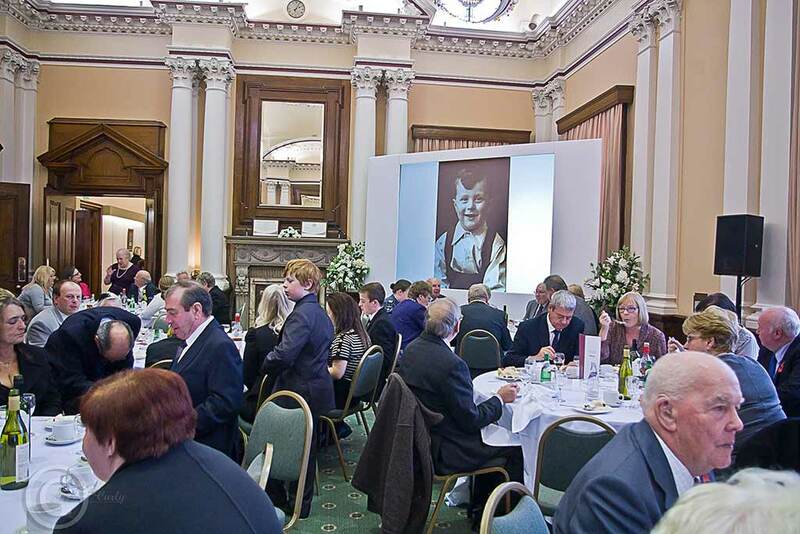 Great to see the public gallery heaving packed, the overspill watched a live video stream in the ante room. Great to have participation from a representative of the “Hello Club” from our German twin town Wuppertal. Many thanks to Val and Dorothy for being so helpful and doing what they do best, they really are treasures. 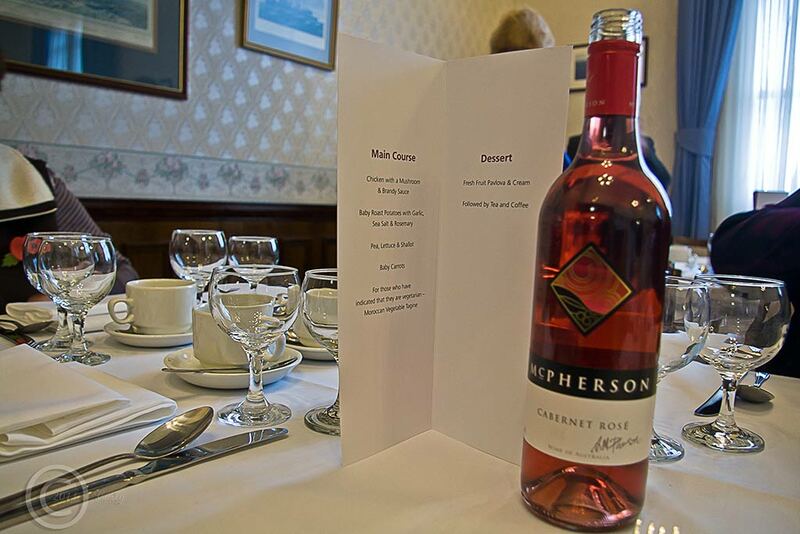 Jimmy is the only serving South Tyneside councillor to have been honoured in this way. Thanks for the report and photos Curly. 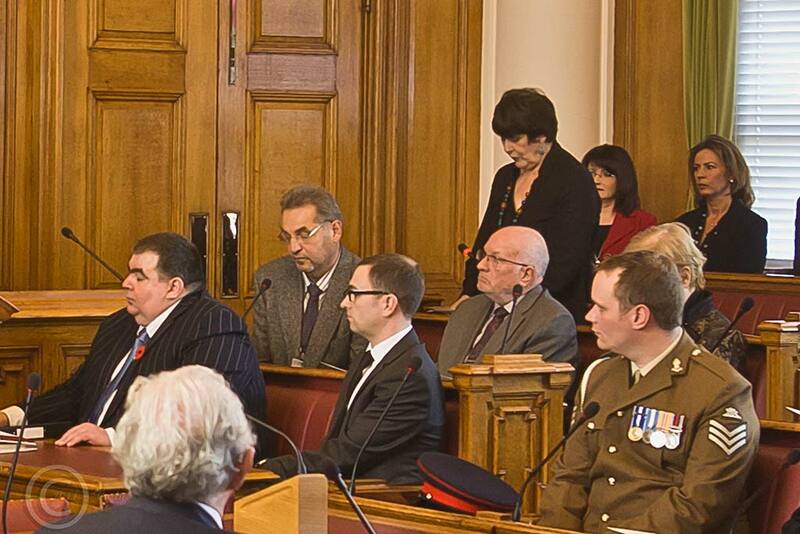 Here’s hoping Cllr Capstick’s health improves and he has many more years to enjoy the honour of being a Freeman. On a lighter note. 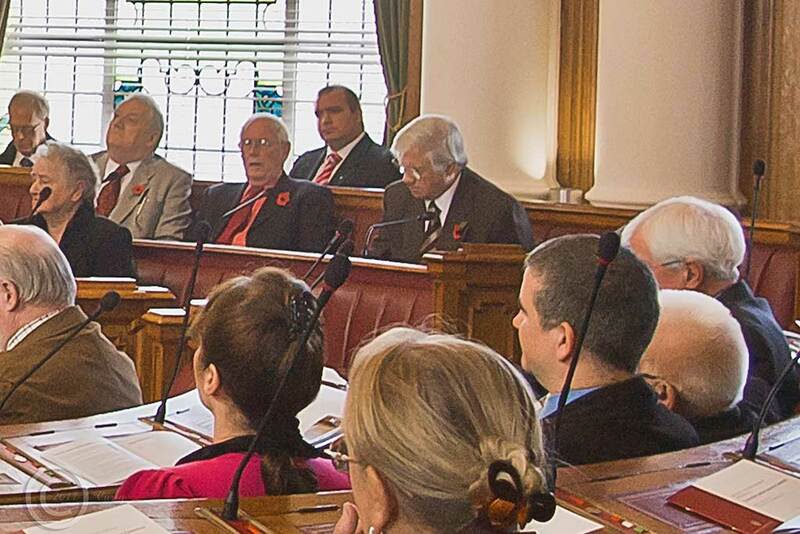 does Cllr Elsom use the same dye on his tash that he uses on his hair? Although it is not the midnight black it used to be a while ago. Must have changed his brand.